Cycle the ancient Celtic Kingdom of Cornwall, defined by its sparkling blue seas, rugged coastline, wooded valleys and industrial heritage. 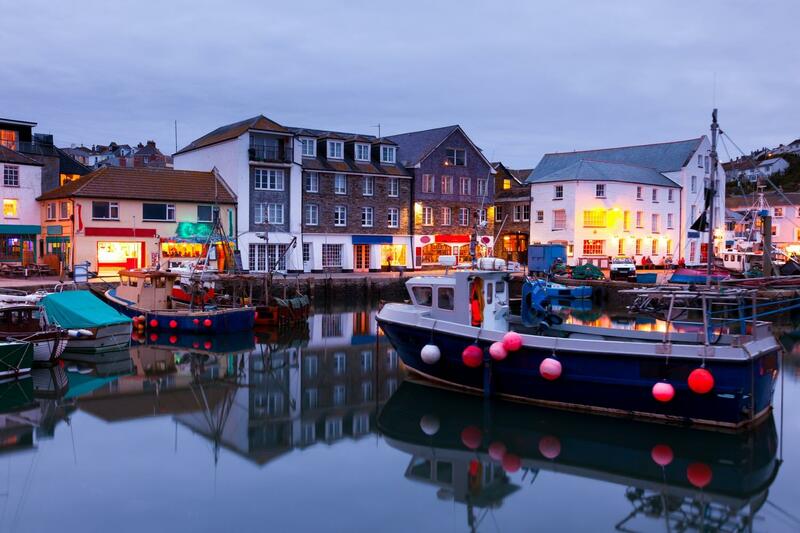 Ride from ancient Iron Age Villages to the cosmopolitan harbour town of Padstow which boasts the Rick Stein’s mouth wateringly good fish and chips. From Bodmin pedal the Cornish Way through the tranquil Luxulyan Valley woods and make a side trip to the world’s largest bio domes of The Eden Project. 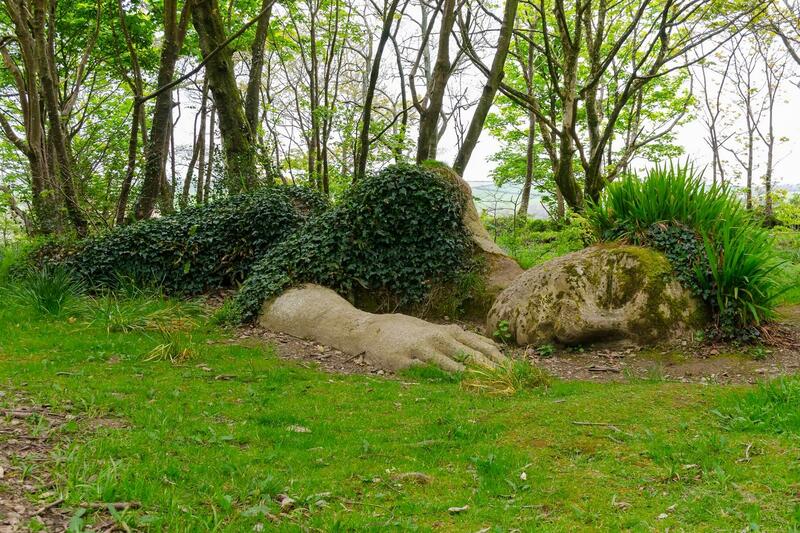 Visit the Lost Gardens of Heligan and ride to the traditional fishing village of Mevagissey. Head to Cornwall’s surfing capital Newquay and enjoy a classic Cornish cream tea on the banks of the Camel River. No matter where you end your day, a characterful smugglers pub is always nearby for a locally brewed pint. 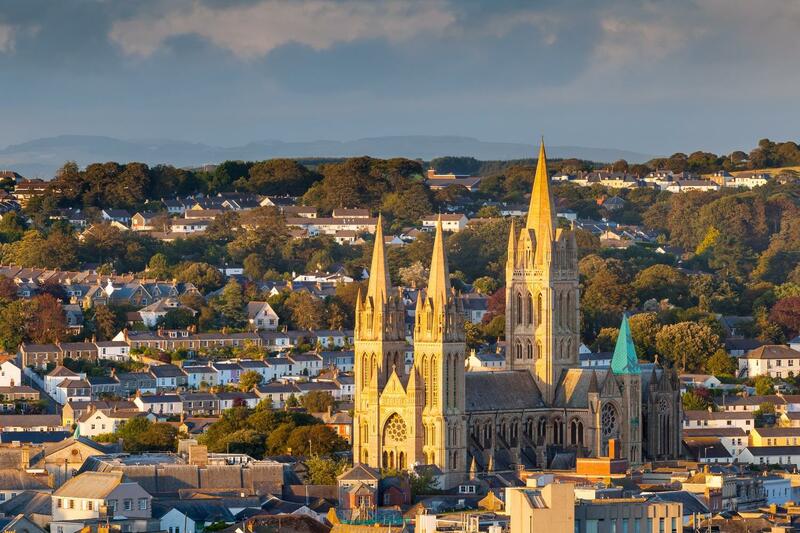 Centrally located in the heart of Cornwall and equidistant from both the north and south coasts Bodmin is also situated on the western fringes of the rugged and wild Bodmin Moor. Only three miles away from the mainline railway station, (with direct services London), Bodmin is also easily reached by car (approx 4.5hrs drive). Today’s cycle follows the Cornish Way and provides an intriguing glimpse into the bygone industries of china clay and mining. Along the way there is also the opportunity to visit the rainforest biodomes of the Eden Project or the magnificent 1000 acres of the Lost Gardens of Heligan. 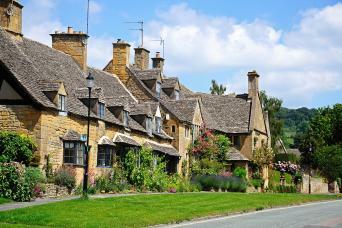 On arrival into the Megavissey, the narrow alleyways, are brimming with charming tea shops, cafes and local inns. This morning you will once again be cycling along the Cornish Way. 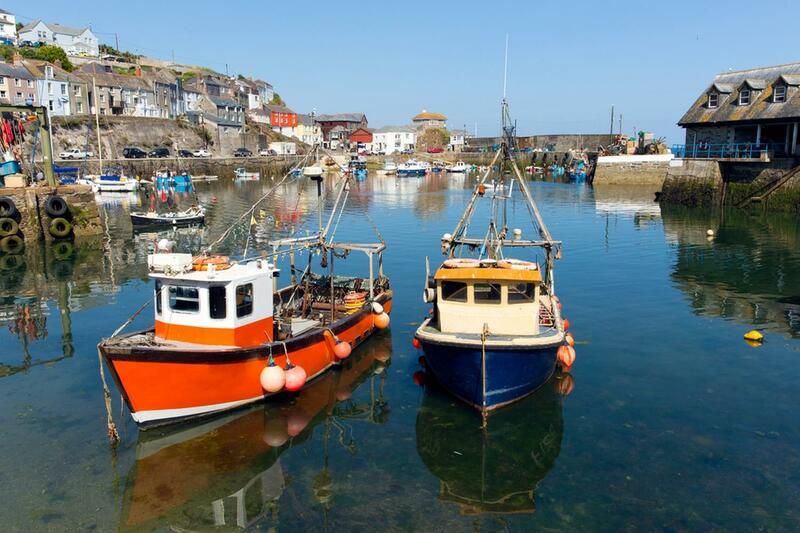 As you leave Mevagissey pedal through the picturesque Roseland peninsula before crossing the River Fal on a small ferry (payable locally). Late on in today’s cycle you pass the National Trust’s Tressilick Gardens located on the estuary of the River Fal. It has a superb and significant collection of exotic plants and is one of the most popular and famous gardens in all of England. After breakfast head north to Newquay, the Cornish Capital of surfing! En route pass by tiny thatched-roofed houses, old tin and silver mining towns and through East Newlyn which was once one of these thriving mining villages. You'll will also pass Terice, an Elizabethan manor house and a great stop for a Cornish cream. 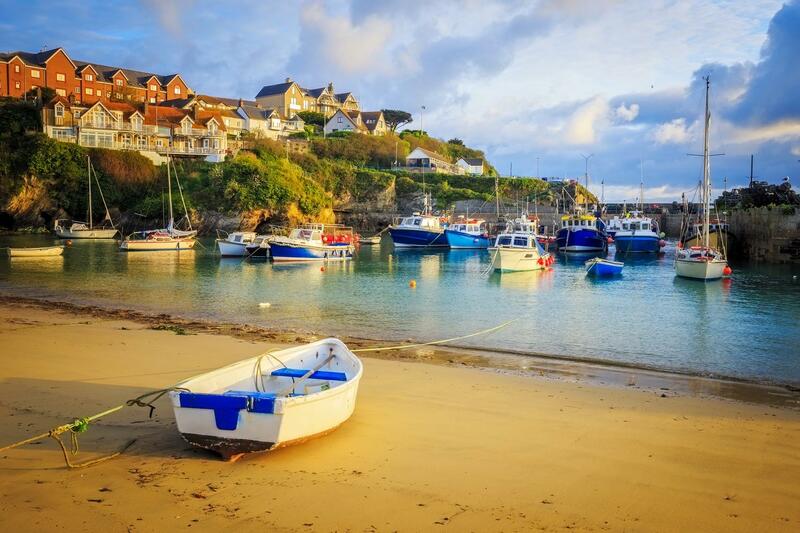 With only a short ride today there is plenty of time, to explore the coastal town and beach of Newquay. Your route today follows country lanes to St Columb Major, before heading north towards the coast. You can stop for lunch in Constantine Bay with views over the blue waters of Trevose Head. 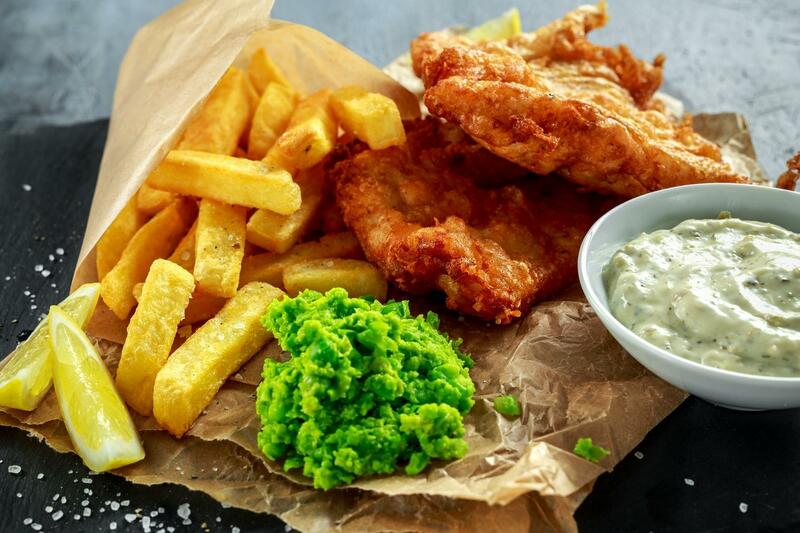 Alternatively, take a shorter route to charming town of Padstow renouned for Rick Stein's acclaimed fish and chip and gourmet restaurants (The Seafood Restaurant, St Pedroc’s Bistro, Rick Stein’s Café or Steins Fish & Chips). Sea food heaven! 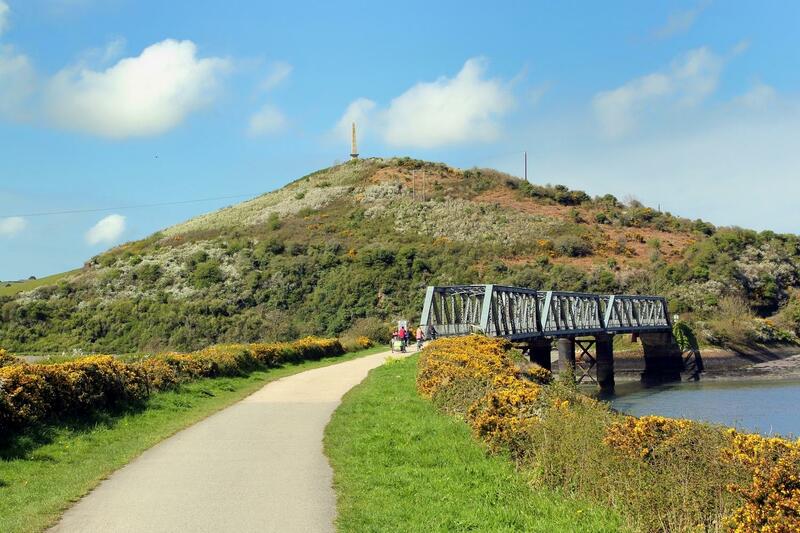 Your route today follows the Camel Cycle, a cycle route that initially takes you alongside the Camel Estuary, abundant with wildlife. This official national trail was built on a disused railway track, originally the Atlantic Express Rail Route from London to the West Country. Upon reaching Wadebridge the trail then goes through the woodland countryside of the Camel Valley and into Bodmin, where you will spend your final night. Depending on your onward travel arrangements you may wish to explore Bodmin town before departure. is based on a standard room. supplementary payment. 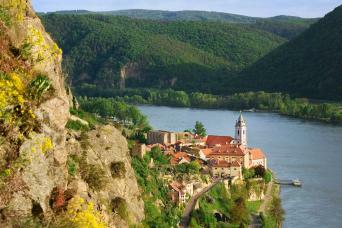 This trip is also available to solo cyclists. local places to dine and your hosts are always happy to let you know the best places to experience the local cuisine. Cornish signature dishes include fish and chips (best sampled from Rick Stein's in Padstow), local Cornish crab and scallop dishes, cream teas and Cornish pasties (meat, potatoes and vegetables wrapped in a shortcrust pastry). Local apples also produce delish, crisp cider. Very refreshing after a day of cycling! The Westberry is a highly rated hotel and boasts an intimate restaurant with panoramic views over the town. All of the 21 bedrooms are en-suite, with Sky TV, radio, Ironing facilities, phone, wifi and tea/coffee making facilities. As you approach the town of Mevagissey the path enters a park, ignore this and stay on the road, the B&B is a large cream coloured building a few yards further on, on the left overlooking the park and harbour. Mannings is a grade two listed historic building in the very heart of Truro. The rooms have a personality of their own, some have baths, some have walk in rain showers etc. however all rooms have flat screen TV, hairdryers, Wi-Fi, hospitality tray, iron & ironing board and complimentary toiletries. St.Bernards is a family run guest house and has eight bright modern bedrooms all of which are en-suite, with a generous amount of facilities to make your stay comfortable. This inn dates back to the 14th century and is the oldest inn in Padstow. They also offer a selection of home cooked food. possible if you are considering a departure during the peak season of June to September. App. This easy to use app will navigate you through each of your daily rides. telephone support will also be available throughout your trip. 21 speed Ridgeback Lightweight bikes are available to hire. The bike will be delivered and picked up from your accommodation in Bodmin. 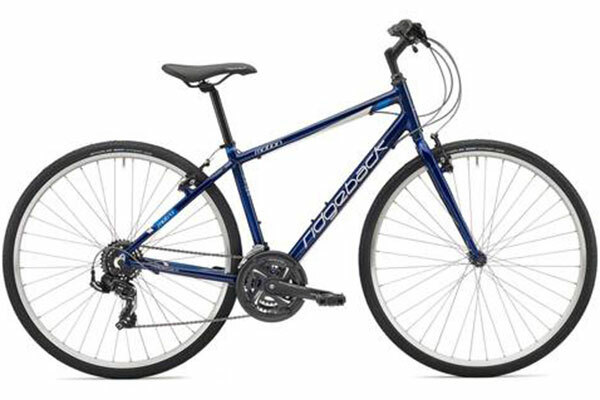 You may also prefer to upgrade your rental bike to a Specialist Ridgeback Voyage Touring bike (with drop handle bars). All rentals include a helmet (though we always recommend using your own for safety and hygiene reasons), rear rack with pannier, pump, puncture/tool kit, spare inner tube and a lock. Please note that if you do want to rent a bike please provide us with your height to ensure we reserve the correct size bike for you. The distances and ascent/ descents are approximations of the recommended routes. Please be prepared by packing all necessary items, for example, proper rain gear (jacket and pants), sun hat, sunscreen. Your information pack has a detailed equipment list which includes standard cycling gear such as good boots or shoes, warm and waterproof clothes for the cooler months and lightweight clothing for summer, and a day pack. Bodmin does not have an airport but is easily accessible from Bodmin Parkway Railway Station, which is only 3 miles away. There are direct trains links with London Paddington (4hrs 30 mins) and Bristol Temple Meads (3hrs 30mins). More information on train times and schedules can be found on the National Rail website. London Paddington provides a direction train connection to London Heathrow Airport From Paddington, you can also combine a the London Underground with overland train services for travel to London Gatwick Airport (south London), London Stanstead (north east of London) and London Luton (north west of London). Bristol Temple Meads train station connects to Bristol Airport via a direct shuttle bus. If you are arriving into Bodmin by train, taxis on arrival are available outside the train station. Alternatively we can arrange the short taxi transfer for you. If you would prefer to travel by car, parking for the duration of your trip is available at central Bodmin locations (unfortuanlety we cannot offer long-stay parking at our Bodmin accommodation). Further details, locations and costs can be accessed at Bodmin Car Parks. We suggest you book as soon as your plans are finalised as this trip is extremely popular especially in the summer months. You can start this holiday on any day of the week. How do baggage transfers work? Your bags will be transferred from your accommodation as per your itinerary and moved onto your next overnight accommodation. We ask you to limit your luggage to one bag of up to 20kg. You will need normal cycling clothes, waterproof jacket and trousers and some warmer cycling clothes, a full detailed kit list will be included in your info pack. May to June offer warm days and flora is full bloom. Into July and August Cornwall is thriving with life. Days are long, warm and perfect for enjoying a late dip at the beach or a long dinner at a harbourside pub. 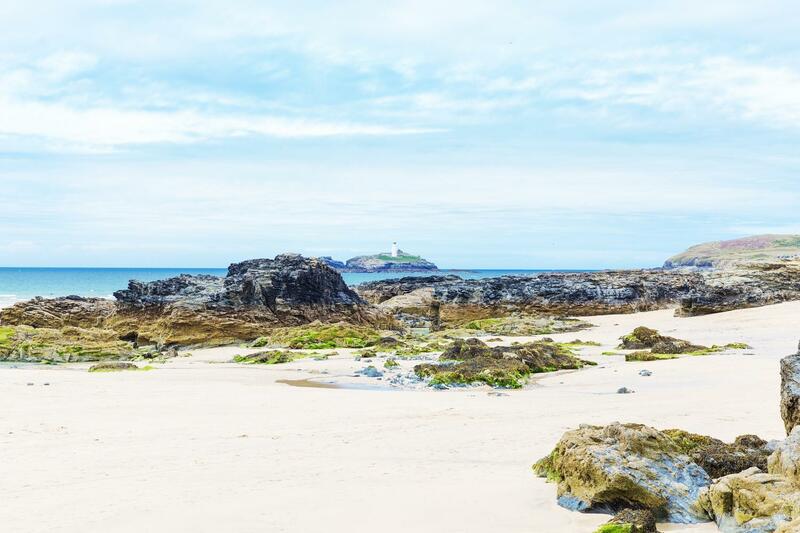 April and September, evenings might be a little fresher and the crowds have thinned somewhat for you to enjoy the contrast of Cornwall’s countryside and coast. You can use public transport or local taxis to continue to your next overnight stop. Please talk to your accommodation providers or call us should you need any assistance during your trip. This cycling tour is graded easy to moderate with each ride ranging from 13-21 miles. 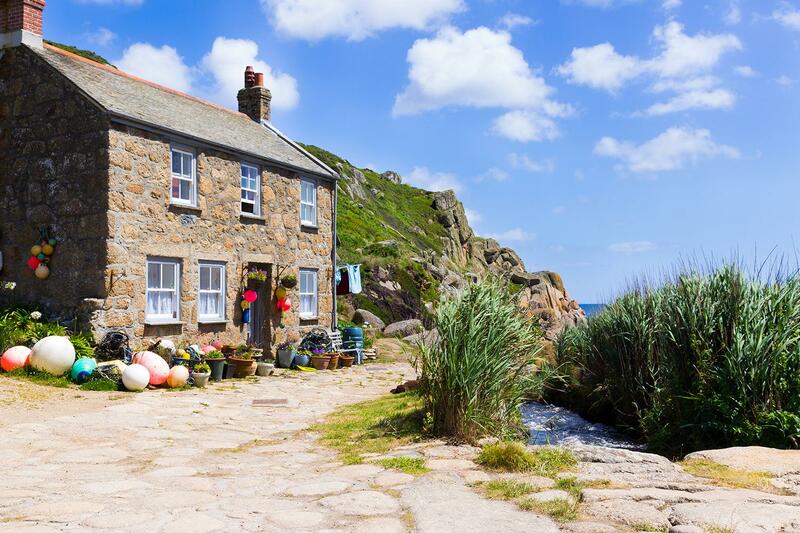 A classic inn to inn journey, follow country and coastal roads through traditional Cornish fishing ports, beachside towns and quintessential English villages. 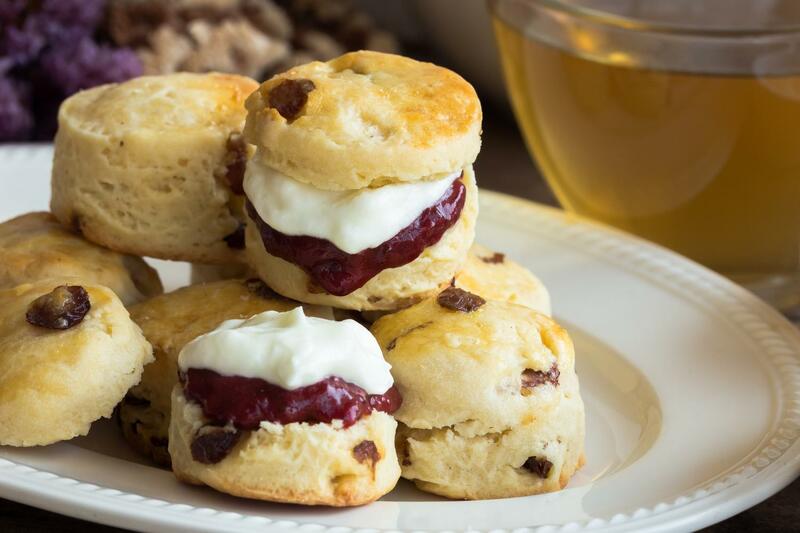 Sample famous Cornish fish and chips or relax with an afternoon cream tea before arriving at your family run accommodation in the heart of overnight stay where you can further explore the natural beauty and history of this fascinating Celtic Kingdom.